Being a daredevil comes with plenty of danger. Some stunts carry a risk of broken bones and other such injuries, while some stunts have a very good chance of killing you. 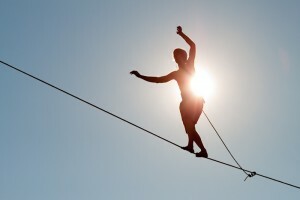 To be a daredevil, you have to accept these risks and accept that each stunt could be your last. For some, this day did eventually come. Orvar Arnarson was an Icelandic skydiving instructor with over 1,000 jumps under his belt. Andrimar Pordarson, while nowhere near as experienced as Arnarson, had jumped eight times himself. In 2013, the pair were part of an annual Icelandic skydiving excursion to Florida. Having already completed two jumps, they intended to make their third jump on the clear morning of March 23. They were seen jumping from the plane separately, but never returned to the ground. Worried friends eventually called the police. It took nine hours of searching before their bodies were found in a wooded area approximately 1.5 kilometers (one mile) from where they were meant to land. The circumstances were immediately puzzling. Neither primary parachute had been deployed, and backups (designed to open automatically if the main chute failed) had not fully inflated before they hit the ground. It was not until police looked at the video from Arnarson’s helmet camera that the events took shape. The video showed Pordarson unable to open his primary chute. Arnarson, noticing the less-experienced diver’s distress, heroically made the split-second decision to risk his life trying to save that of another. He made contact with Podarson mid-fall and frantically tried to free the chute. The pair fell to their deaths, never managing to unfurl Pordarson’s parachute. Canyon rope swinging, in which a person swings from a rope attached to the arch of large canyon, has gained huge popularity on YouTube in the last year. Numerous videos have surfaced showing daredevils attempting to better their online competitors. 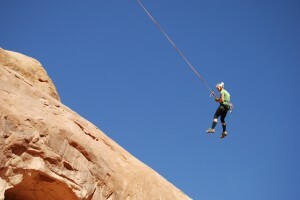 In March 2013, 22-year-old Kyle Lee Stocking was to attempt his own rope swing at the Corona Arch in Moab, Utah. Stocking was clipped into a waist harness, surrounded by friends and onlookers. But as he jumped, it was quickly clear that something was wrong. Instead of swinging back and forth through the arch, he slammed straight into the floor of the canyon, dying instantly. The group had carelessly miscalculated how much rope would be needed for a successful swing. The area is famous for what is known as the World’s Biggest Rope Swing, and this the first such incident to happen at the location. Scott May’s Daredevil Stunt Show had been touring the UK since 1991, performing dangerous stunts to raise money for local charities. In 2011, the group were performing at the Kent County Showground when stuntman Matt Cranch readied himself for his Human Cannonball act. The performance involved Cranch being placed in a hydraulic propulsion system—a large tube-like contraption mounted on the back of a truck. After signaling that he was ready, Cranch would be fired into the air. While in the air, he had to turn around and land on a carefully placed safety net. But the safety net collapsed this time, leaving Cranch plummeting toward the ground. He landed, breaking his neck and suffering life-threatening head injuries. He later died in hospital. Scott May’s show continues to perform around the UK. Free-diving, where a diver does not use oxygen tanks or scuba gear, might not be what immediately comes to mind when you think of daredevils, but it is an incredibly dangerous sport with the potential to be as disastrous as anything performed in the sky. In 2006, French free-diver Audrey Mestre was determined to break the world record (held by her husband) by diving 171 meters (561 ft) into the depths of the ocean. She was attached to a 200-pound weight mounted on a steel cable to enable her to get to the target depth. 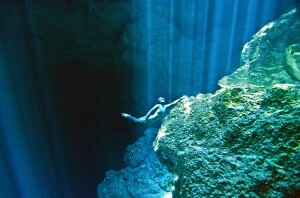 Miraculously, Mestre made the dive, but on the way back up she lost consciousness at a depth of almost 90 meters (300 ft). Her team attempted to lift her from the water, but encountered numerous problems with the equipment they were using. Cables appeared to have become damaged in training, while the lift-bag intended to bring her back up was either inadequately inflated or had leaked. In total, Mestre’s dive took nine minutes, during which she had no access to oxygen. Consequently, she could not be revived and died at the scene. A documentary titled No Limits details Mestre’s attempt at the record. In the early 1970s, tightrope walker Richard Guzman performed with the world-famous Flying Wallendas. However, on the night he would lose his life, he wasn’t even the main attraction. The performance took place in front of a crowd of 6,000 people at the open-air Wheeling Island Stadium in West Virginia. Headliner Karl Wallenda was about to finish his usual tightrope trick, having successfully navigated the treacherous journey. As he got toward the end of the rope, Guzman (who also happens to be Wallenda’s son-in-law) climbed a support and reached out to take Karl’s balancing pole, allowing him to descend steadily. Twelve years before, Guzman himself had fallen from the high wire and spent nine months in hospital, so he knew how important a safe return was. As Guzman reached out to take the pole, he accidentally steadied himself on a piece of live cable used to hold up metal rigging. The shock sent him flying to the ground, where he landed on a policeman who was attempting to catch him. Despite being tended to almost immediately by an off-duty nurse, he later died from his injuries. Wing walking is a sport in which people attempt to climb onto the wings of a biplane. 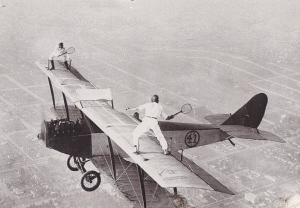 The daredevils are usually attached to the plane using a support structure, which, while not making the experience completely risk-free, does add some element of safety. Others however, prefer to do it without the safety equipment. Todd Green was one of these, even adding a helicopter into the mix. 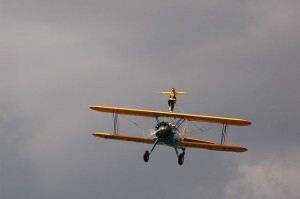 At the 2011 Selfridge Air Show in Michigan, Green attempted to climb out of the passenger seat of a biplane and grab on to the bottom of the helicopter, which would whisk him away to safety. During the performance, Todd reached out to the helicopter but failed to grab hold, slipping off the wings of the plane. Spectators initially thought it was part of the act, not realizing that Green had fallen to his death. 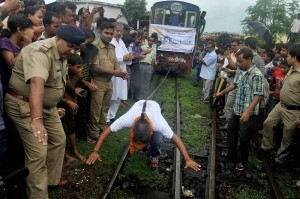 Indian daredevil Sailendra Nath Roy was known for his freakishly strong hair, which he used to pull buses, trucks, and even small trains. In 2013, Roy announced he would attempt to cross a river while suspended from a zip wire attached to his ponytail. The stunt, watched by hundreds of onlookers, was designed to outdo his own world record, held since 2011, by traveling 180 meters (590 ft). After covering approximately 90 meters (300 ft), Roy became stuck and began shouting for help. Despite the known danger involved in the stunt, it took over 45 minutes for the emergency services to arrive. By the time they managed to get to Roy, he was motionless. Rushed to hospital, it was discovered that Roy had died from a massive heart attack while suspended from the wire. He had promised his worried wife that the performance would be his last. Pavel Kashin was a Russian freerunner famous for his death-defying feats and superb agility. In 2013, he was performing a stunt which would see him backflip on the edge of a 16-story building in St. Petersburg. 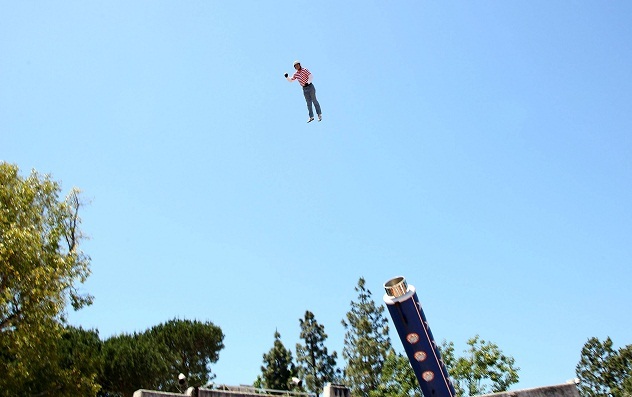 His last moment was captured by a friend, on top of the roof with him, who snapped a picture mid-flip. Tragically Kashin missed the ledge on the way back down and fell to his death. 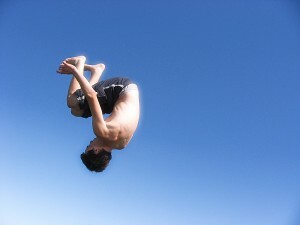 The image of his last backflip was released on to the internet by his family, who hoped it would prevent others from attempting such dangerous stunts in the future. Videos of Kahin’s amazing freerunning ability can be found all over the Internet. Jane Wicker was a true wing walker. She was so passionate about her calling that she even planned to get married to her fiance on the wings of a plane. Unfortunately, her plans would never be brought to fruition. On June 22, 2013, at the Vectren Air Show, Ohio, Wicker took to the skies in front of an eager crowd with her pilot Charlie Schwenker. It would be her last performance. Wicker’s trick involved climbing on to the wings and walking, with no safety harness or parachute. However, the plane began moving erratically in the middle of the performance and almost immediately entered a barrel roll toward the earth. Schwenker apparently steered the aircraft away from onlookers. The plane hit the ground at tremendous speed, bursting into flames. Both Wicker and Schwenker were killed immediately. 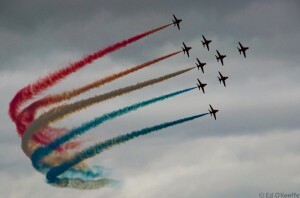 The Red Arrows are the aerobatic team of the British Royal Air Force. A group of highly skilled pilots who perform daring aerial maneuvers in their trademark scarlet planes, they have entertained the public at air shows and special events around the world. From 1988 to 2011, there wasn’t a single fatality in the group: a remarkable accolade. Yet in 2011, two pilots died within months of each other. The first was Lt. John Egging who is thought to have lost consciousness due to G-forces before spiraling towards the ground. The second was Sean Cunningham, whose death took place under much stranger circumstances. Cunningham was not yet in the air when his accident occurred. He was readying for takeoff in his Hawk T1 on the runway at RAF Scampton, Lancashire when his ejector seat activated, firing him over 60 meters (200 ft) into the air. In a harsh twist of fate, Cunningham’s parachute failed to open, resulting in him plummeting to his death. An inquest into why the ejector seat was activated and why the parachute didn’t open found no manufacturer fault. John Sampson is an internet author who writes about anything that piques his interest. He does not use social networking as he believes this makes him more mysterious and interesting. He is wrong.